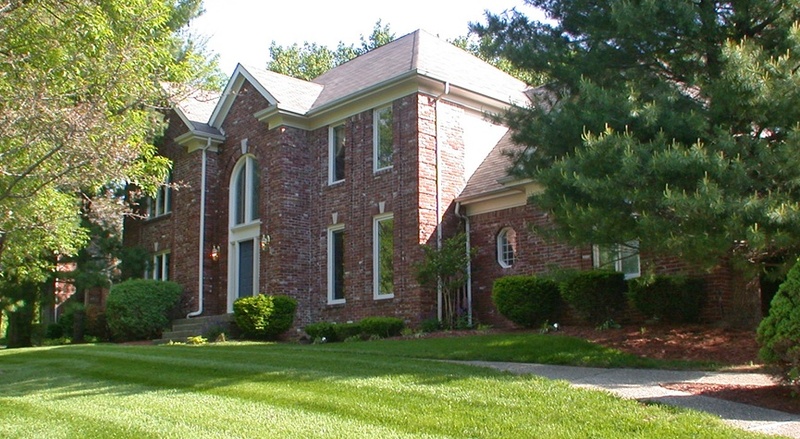 New price for this listing in much sought after Prospect, Kentucky. Come see this traditional, 4 bedroom, 2 full and 1 half bath home with more than 3,000 square feet situated on a quiet street in Bridgepointe neighborhood. Enter through the front door and beneath the palladium window into the two-story foyer. There are formal dining and living rooms. The family room features exposed beams, custom, built-in shelving, wood burning fireplace, wet bar and access to the deck. Large, eat-in kitchen with deck access and 3 walls of windows which let in tons of natural light. Kitchen features Jenn-Air stove, planning desk and abundant cabinet space. Powder room services first floor. Second floor master suite features cathedral ceilings, floor to ceiling windoes, walk-in closet, double sink vanity with sitting area, whirlpool tub, sky light, shower and private water closet. Also, on the second floor are three good sized bedrooms, full bath and laundry room. Partially finished basement with room for storage galore. The home is detialed throughout with beautiful crown moldint at the ceilings and around the doorways. Fantastic, ultra-private back yard with over-sized deck. Two car, rear entry garage. Brand new listing in Prospect's Hunting Creek...22 Autumn Hill Court. Stunning home completely remodeled by Ben Tyler. All brick 3 bedroom, 3 full and 2 half bath home offers more than 5,300 square feet and is located on a quiet cul-de-sac. The open floor plan of the home is ideal for entertaining. The oversized family room features floor to ceiling windows and is open to the dining room with crown molding and built-in china cabinet. The eat-in kitchen is a chef's delight with top-of-the-line updates throughout. Granite counter tops, new stainless steel appliances, breakfast bar, center preparation island gourmet coffee cabinet are just a few of the things that make this kitchen truly unique. Off the kitchen is an all-season sun room perfect for viewing the lade in the early morning or during relaxed evenings. The master suite is fantastic with an adjoining office/den space. The lavish master bath features his and hers walk-in closets, private water closet, double vanities, whirlpool tub and tiled shower. The second level offers two large bedrooms with a Jack-and-Jill bathroom and large storage space. The finished lower level has a family room, mirrored exercise room, full bath, two additional bedrooms and unfinished storage space. Oversized deck features hot tub and overlooks the picturesque backyard and 8th green and 9th tee of Hunting Creek Golf Course. Three car, side-entry garage. Welcome home to 4325 Alicent Road! 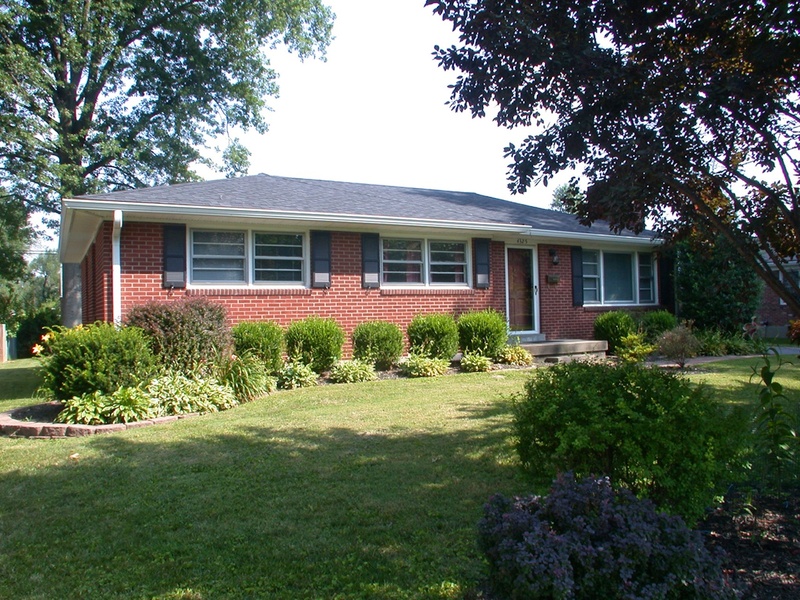 Immaculately maintained all brick ranch in quaint neighborhood yet near expressway access, shopping and restaurants. More than 1,300 square feet offers 3 bedrooms and 2 full baths. Living room features a picture window, fireplace, crown molding and gleaming hardwood floors. The dining room is adjacent to the eat-in kitchen which has a side entrance to the driveway and access to the basement stairway. Three good sized bedrooms...the master with its own private bath while the remaining two bedrooms share a full bath. Full basement, partially finished, with ample room for storage, laundry room, workshop and additional bedroom. Beautiful, screened-in sunporch overlooks the nice-sized back yard. Two car detached garage. Home has been lovingly cared for...25 year roof put on in 2005, newer HVAC and recent electrical update. The activity on this home has been incredible. Be sure to call 502-238-7400 for your appointment today! When you are in the market for a new home, what should you consider first--the neighborhood or the home itself? Over and over again you will hear the top three considerations when buying a home are price, location and condition. However, what you will hear most of those three is, 'Location, location, location.' That should tell you that you choose your neighborhood first. Then you look for price and condition. The chicken and the egg are about getting things in the right order. We have numerous clients that tell us that they will buy almost anything if they can live in Anchorage, or Hurstbourne or Lake Forest, etc....if they live in walking distance of their parents/sister/best friend or of a school, church and local shopping. Others are picking their homes based upon commuting time and distance. Time and gas are precious resources these days! If you have specific criteria such as this pick the neighborhood first. 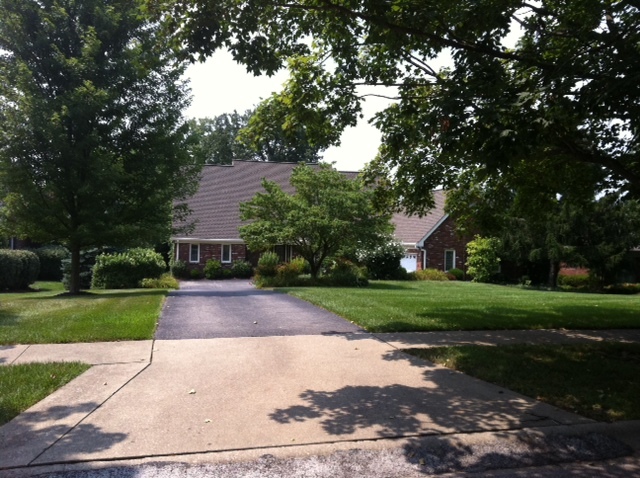 Today you have available to you a large number of homes located throughout these neighborhoods. Only look in those neighborhoods. You may not find a new home in an established neighborhood so your house may not be exactly how you envisioned it but your location will be. You can always renovate and change a home but you cannot change the character and location of the neighborhood. Identify what is important to you--commute time, shopping, schools, local amenities such as parks, rivers, lakes or other recreation and narrow the neighborhoods drown to three or four, if possible, that would suit your desires. You will not be sorry that you did this critical thinking before you start your home search and it will reduce the hours that you might otherwise spend unnecessarily looking at homes that you are not in an area that will suit your needs. We at Julie Pogue Properties are glad to help you identify the neighborhoods that would suit your needs. Just give us a call and we can start helping you in your search to find the perfect home.